No tire lasts forever – especially OTR tires used for construction, mining and other industrial activities. Because of the large amount of stress and responsibility these tires take on, it’s a safe practice to have your tires’ condition evaluated by a professional about every 1-3 months, depending on your site’s typical conditions. When it comes time to make a change, you have two options: have your current tires retreaded or have new tires installed. That’s where the controversy comes in. Depending on who you ask, some will argue that retreading tires is not a smart move. Others will argue retreading tires is the only thing that makes sense. So, who is right? The truth is, both retreading and installing new tires on your OTR vehicles are viable options. Depending on the situation, a retreaded tire will perform just as well as a brand new one. When your OTR tires are in need of upgrades, here are a few things to consider about retreaded tires. If your company values going green and utilizing the most environmentally-friendly options at your disposal, retreaded tires are your ideal choice. The process of remolding the remaining tire casing consumes less resources than producing a new tire. Also, at the end of the day, every tire that is retreaded is one less tire that finds itself in a landfill. A great myth about retreaded tires is that they are not as safe as a brand-new tire. This is not the case. Modern retreading processes produce a much stronger product and must also undergo a much more rigorous inspection. In addition, every retread carries a seal of approval by the company that performed the retread – meaning, it would of course be in their best interest to ensure the tire is safe and secure. Every year, tires rank among the top expenses for industrial companies. The price of a retread is considerably less than producing a new tire, which presents a saving opportunity most would find intriguing. Coupled with the safety and security retreaded tires have, the price-friendly aspect of retreads makes them more and more popular. While retreaded tires are green, have a friendly price tag and are just as safe, certain factors will make the option of retreading a tire less ideal. While they are still safe, it is undeniable that the retreaded tire still is working with less casing. 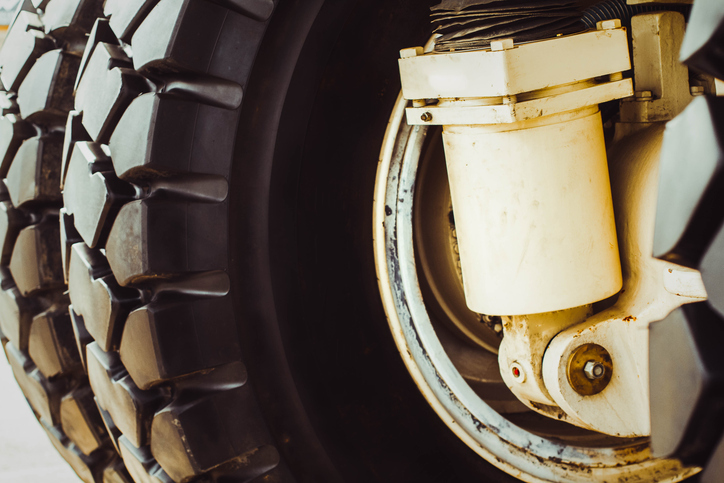 Both in OTR and other fleet industries, particularly heavy hauls or wide-axel vehicles will put more pressure on tires, which will chew through casing faster. Given the slightly less amount of available casing, in these situations it may be in best to install new tires. Under the right conditions and provided there is an ample amount of casing, a tire can actually be retreaded multiple times. But, like we said at the very beginning, no tire lasts forever. The casing of the retreaded tire continues to wear and thin every time it is retreaded. While a retreaded tire is just as safe, every tire has its limits. If you are considering retreading a tire that has already been retreaded, make sure to consult an expert to make sure your tire is up for it. Ultimately, the final decision depends on the remaining quality of your tires, your budget and the duties your vehicles need to perform. Raben Tire provides both tire retreading as well as new tire installation, depending on the needs of your vehicles and your company and has locations across the Midwest. For OTR information, contact the Raben customer fulfillment center at 800-77RABEN.